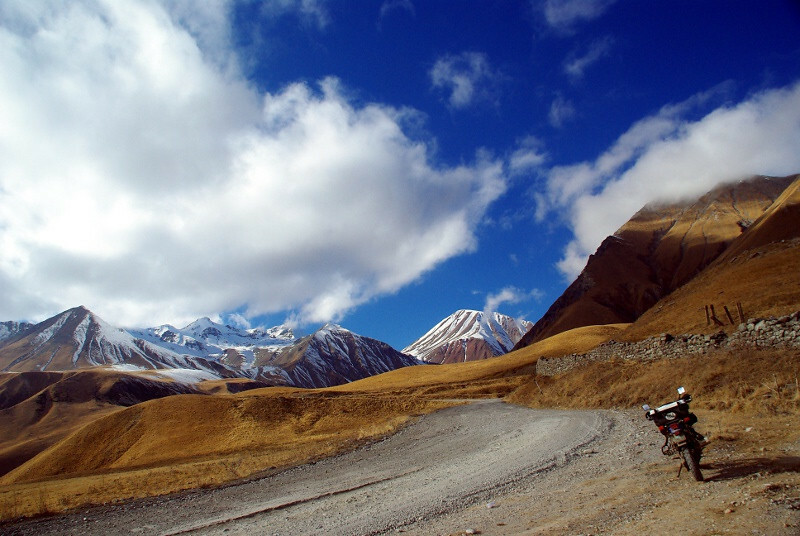 To stretch my legs I made an overnight trip north to the town of Kazbegi. 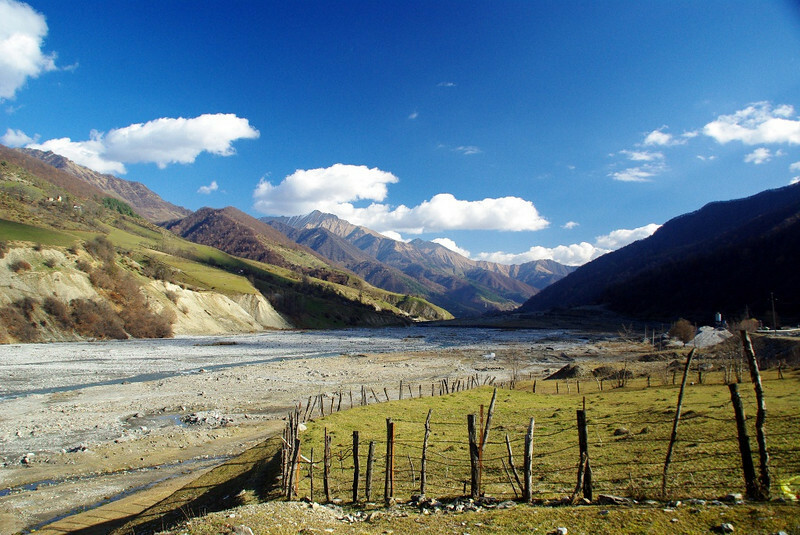 The road (called the Georgian Military Highway) follows the broad Aragvi river. 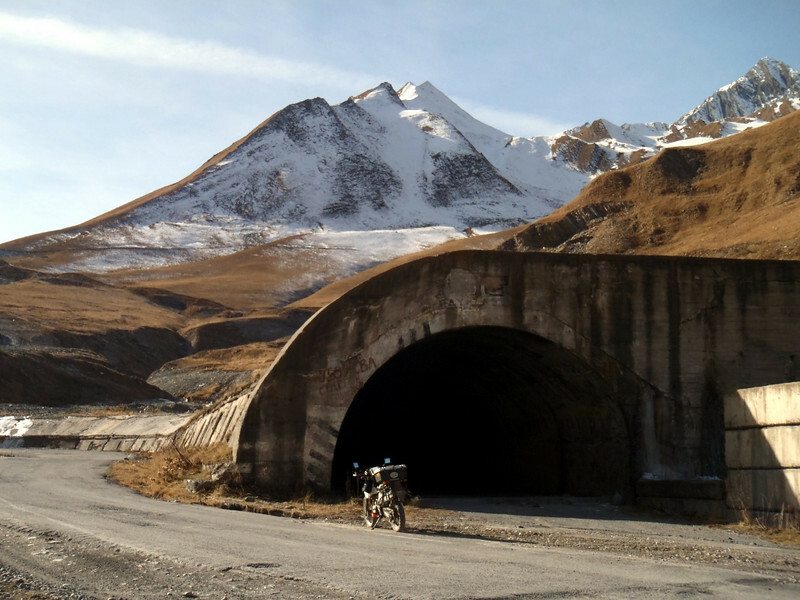 At around 7500' in elevation, fortunately I didn't have to use the snow tunnel. The further I climbed, the worse the road became, but the views were marvelous. 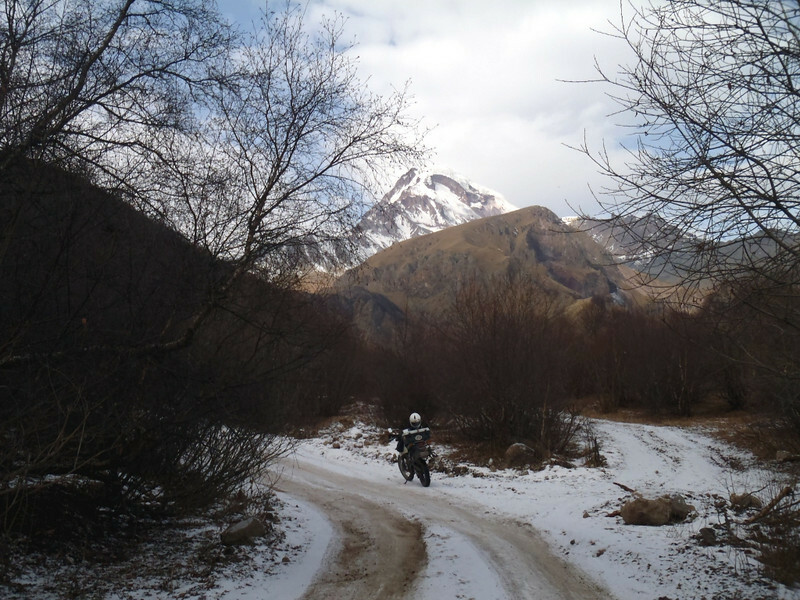 With some daylight left, I went past Kazbegi to check out the Dariali Gorge, going as far as the Russian border. 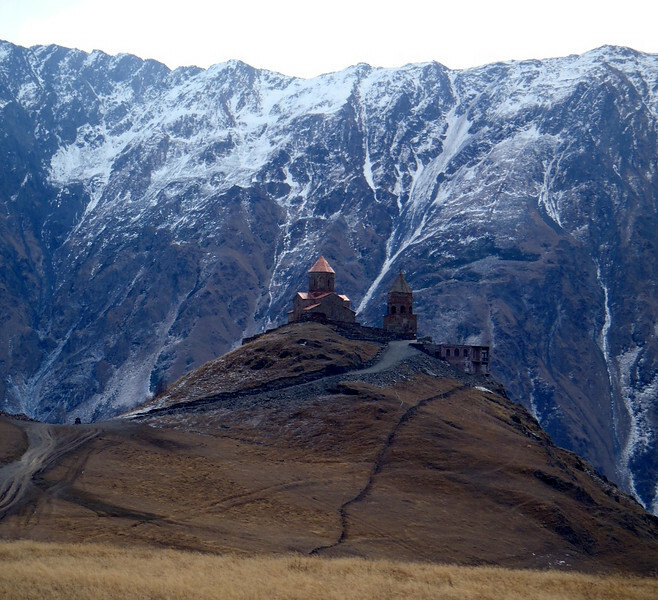 The next morning I started the ascent to the picturesque church set high on a nearby mountaintop. 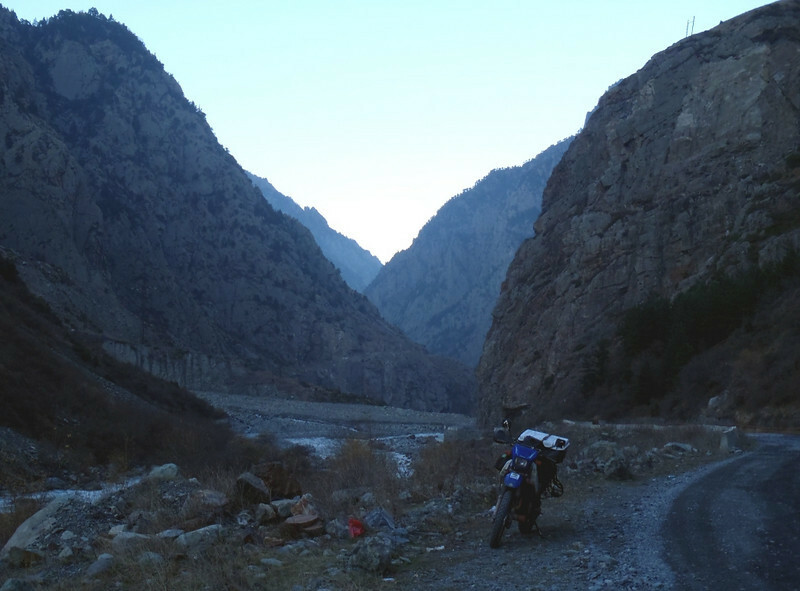 The road climbs and climbs through switchbacks. When the road became covered in ice, it was time to walk (only for about 10 minutes, but I was wheezing like a flatlander). Mt Kazbek in the distance. Tsminda Sameba Church, built ca. 14th century. 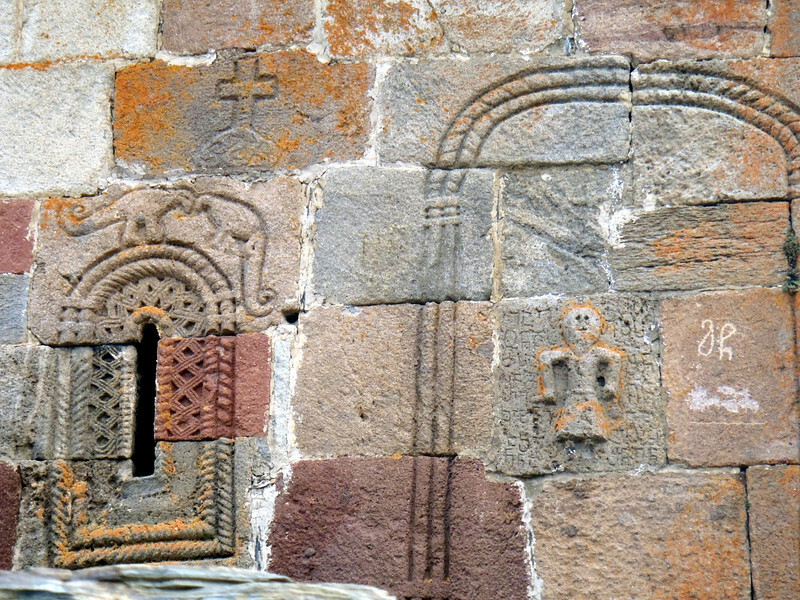 "Thought-provoking" carvings on the church. 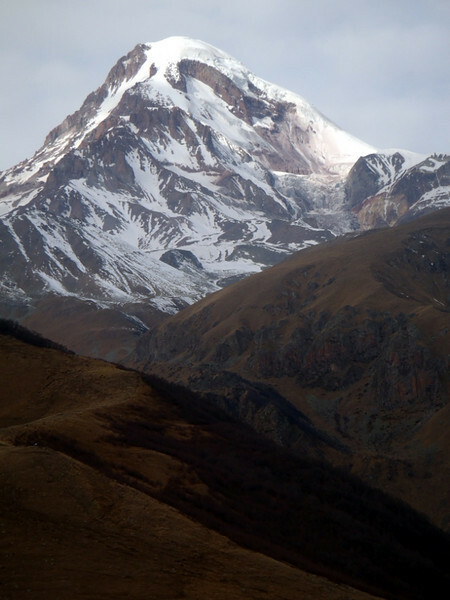 Towering Mt Kazbek looms over the valley. This is where Prometheus served time for his pyrotechnical crime.